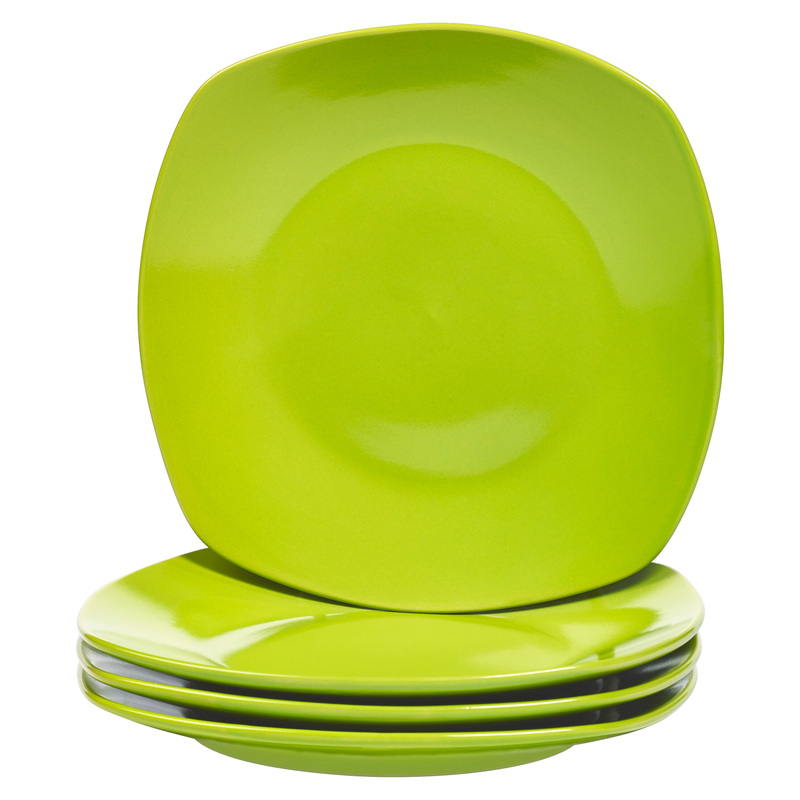 Mix and match for a bold statement with Basic Essentials® solid color dinnerware. Designed to fit your unique style, your needs, and your budget, this Set of Four 10 inch High-fired Stoneware Square Dinner Plates layers beautifully to smartly add color to your table. Basic Essentials® contemporary style solid color stoneware dinnerware is fired at high temperatures to create a durable, chip-resistant dinnerware. Resistant to moisture, oils and odors, it never imparts unwanted flavors to foods. Basic Essentials® solid color square dinner plates are dishwasher safe and microwaveable to fit your casual lifestyle. They also meet or exceed Prop 65 and FDA standards, with your healthy lifestyle in mind. Create your own unique style with the Basic Essentials® Solid Color Dinnerware Collection.